In 1897, a man named J.J. Thomson devised a Theory to explain the concept of the Atom, which he called the “Plum Pudding” model. In his model (photo 1), he used plum pudding to demonstrate his theory. 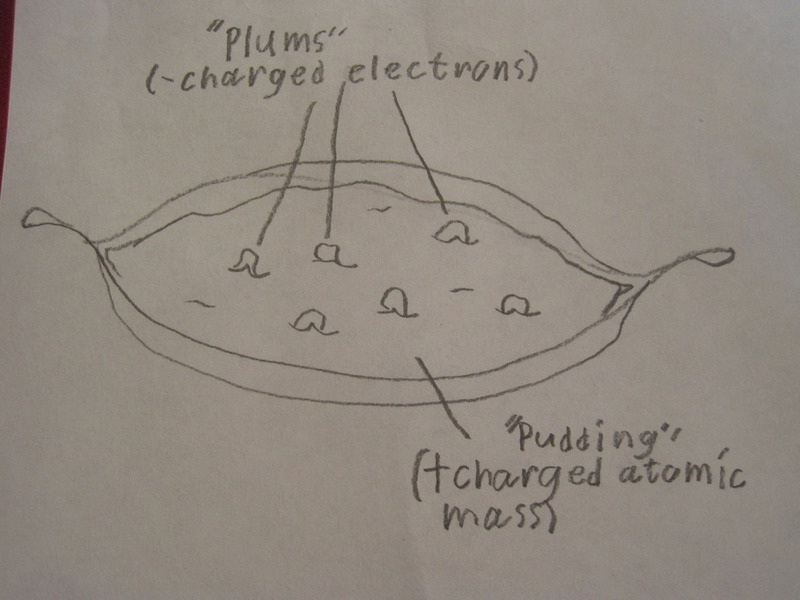 The plums were negatively charged Electrons floating around inside a positively charged mass (the pudding). As the Electrons are negatively charged and the mass would be positive, well, opposites attract, so the Electrons stay in the “pudding”. 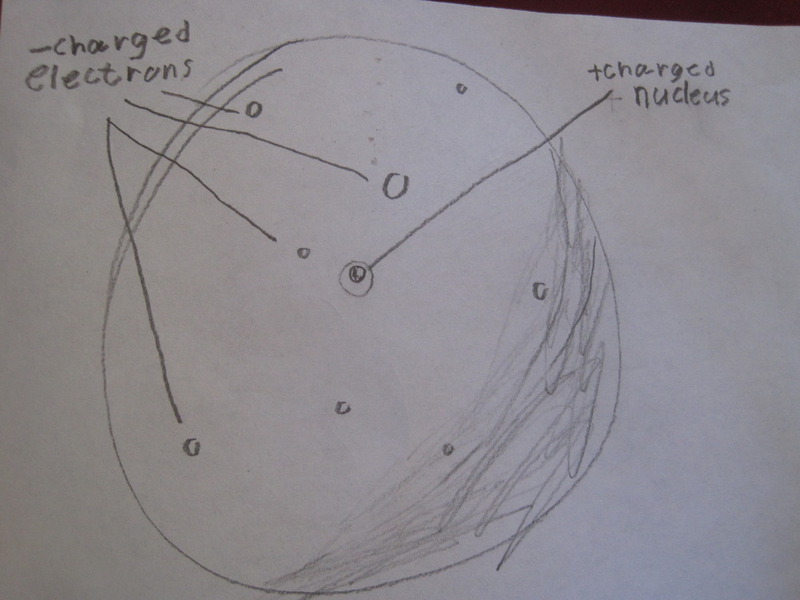 Thomson was almost correct, but from what we know now, at the center of the Atom, there is a positively charged Nucleus, with negatively charged Electrons floating around the Nucleus (photo 2), keeping separate because the Electrons repel each other, but staying around the Nucleus because the Nucleus is positive. This entry was posted in Uncategorized on August 31, 2011 by Captain Belaq.